Pbtp Moving Company San Diego is the top leading moving company located in San Diego. We service all of San Diego and surrounding areas. Our company is an operated business dealing with local and long distance moves for residential and commercial properties. We have had a spotless business record from the beginning of the company until today. Our licensed movers know what it takes to execute any size move flawlessly. Our Local movers know that moving is not an easy task for people. It is highly recommended to have a professional moving company by your side while planning and performing your move. Our professional licensed movers will plan your move and make it smooth, safe and secure as possible. We carry our own personalized fleet of trucks and vans to safely move your belongings and we never rely on other contractors to move you. We value your time and that is why we offer around the clock moving services to our clients. Our local and long distance movers never keep you waiting or postpone your move to another date. The moving crew at our company is very punctual and committed to on-time delivery of your belongings. Our local movers never waste time while packing or wrapping your goods because they realize that every minute counts. 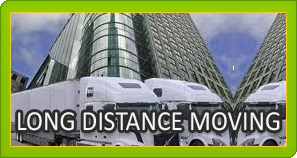 Our long distance movers as well as local movers offer all of these amazing services at very nominal prices. Please contact us in regards to any of our services and we’ll provide you with a moving quote. The best quality about our moving company is that we are honest and we believe in keeping our billing process up front and transparent. Our licensed movers will explain every single penny added to your bill and accept the payment only once you are satisfied with the billing. Our goal is to deliver and relocate you with the best moving services that our local movers have to offer.